Welcome to my Perinatal Hospice/Palliative Care Resource page; this is the most efficient way I can think of to get information out the wide world. After I attend the International Childrens Palliative Care Network Conference in South Africa, I imagine I will add a lot of global resources, stay tuned. Perinatalhospice.org – this website is run by a colleague of mine and it is truly the gold standard online web resource for all things Perianatal Hospice. Excellent for parents and caregivers. Don’t miss this site. Perinatal Palliative Care Program Development Tool This is a really helpful resource for hospitals early in the process of starting a Perinatal Hospice program. It costs less than $40 and worth every penny. If you feel passionately that your local hospital should start a program, it wouldn’t be out of line for you to buy this and give it to the leadership at your local hospital. Resolve Through Sharing / Bereavement Services find literature for staff education and the best patient handouts in the world (also avail in Spanish) plus classes in Bereavement Education. RTS Resolve Through Sharing – Gunderson Health System in LaCrosse Wisconsin offers staff education on topics of death (especially perinatal death) that is considered the best available. If you want to advance the level of care your Health System offers, this is imperative. They also sell excellent handouts and other important resources…see their online catalog. Research and excellent peer reviewed journal articles – for those of us needing to document an “Evidence Based” professional source. This site has a wonderful Perinatal Palliative Care e-learning module. I went to a Hospital School 36 years ago where I later earned an RN Diploma and received a great education. A BSN at the time would have been a very difficult pursuit as I was only 17 and my parents were not convinced that making a University education possible for me was a worthy endeavor. Some of my peers endured the challenges of going back to school while working and raising children, but for a few reasons, I simply did not feel brave enough to even try. My Perinatal Loss experience brought me opportunities to teach, write for publications and present at conferences. While my professional mentors were kind enough to not insult my level of education, I finally got to a place where I realized I was going to limit my opportunities to participate in the scholarship of my profession if I did not further my education. So, many years after graduating from Union Memorial Hospital School of Nursing, I began the BSN course at the University of Mary Washington. Pivotal in the decision was my newlywed husband’s offer to fund my education. I had had children in college since 2007 and couldn’t imagine paying more tuition than I was already paying. His generosity tipped the scales in my decision making process. Before I started my return, I was afraid. What I was afraid of might surprise you. I was, of course, afraid that I was painfully behind in needed tech savvy, that I would struggle through math class, and needing to learn to write according to APA guidelines would bring me to despair but there was more. I was afraid that I was already so well informed that this whole thing would be a waste and I would learn nothing. Perhaps bigger than that, I was also deeply, internally afraid that I would learn really useful helpful things which would mean that I had been working without those helpful tools in my knowledge base for a long time and that might feel humiliating. Well, I have completed 11 classes and have 4 to go – what do I think about all this now? I’m very proud of myself for taking on the challenge. No one would have faulted me of I chose not to do it. My husband retired and I could have joined him shortly with no harm and no foul and the fact that I didn’t take that path gives me a sense of accomplishment. It doesn’t hurt that THE VERY DAY I announced on Facebook that I was going back to school, a professional mentor invited me to coauthor a piece for a respected professional journal. That was a bit of immediate gratification that few students get and I was quite happy with it. The truth is that I have learned things I didn’t know before, but as I learned, I didn’t feel humiliated, I felt fortunate. I was fortunate enough to be a rare person these days who got to combine the wisdom of the ages of the old style of Nursing Education and the new waves of 21st Century Information Age of Nursing Education. 36 years ago I wore a cap and white pantyhose and learned Nursing “old school” and today I confer with colleagues across the globe and use computer networking to change the care of dying babies on planet earth – am I not the most fortunate nurse ever? Another truth is that my old school peers and todays newbies each have strengths and weaknesses that we would be wise to recognize. I couldn’t believe it one day when I found myself telling an age-peer that she simple could not go any further with her project without doing a thorough internet literature review. My younger colleagues would do well to devote themselves to making sure that they can write grammatically correct sentences. No one in a position of completing a Bachelors degree should submit sentence fragments in a formal assignment. Tomorrow I leave for Africa to teach a workshop and learn from amazing people. I hope to meet the Ethicist from the WHO in Geneva and I harbor secret hopes that I find some reason to buy a plane ticket to Geneva. I love my adventures, academic and otherwise…they make me feel capable and mighty. I encourage you to face whatever fears might beholding you back from whatever – you may just learn something. What if you didn’t call it “Perinatal Hospice”? 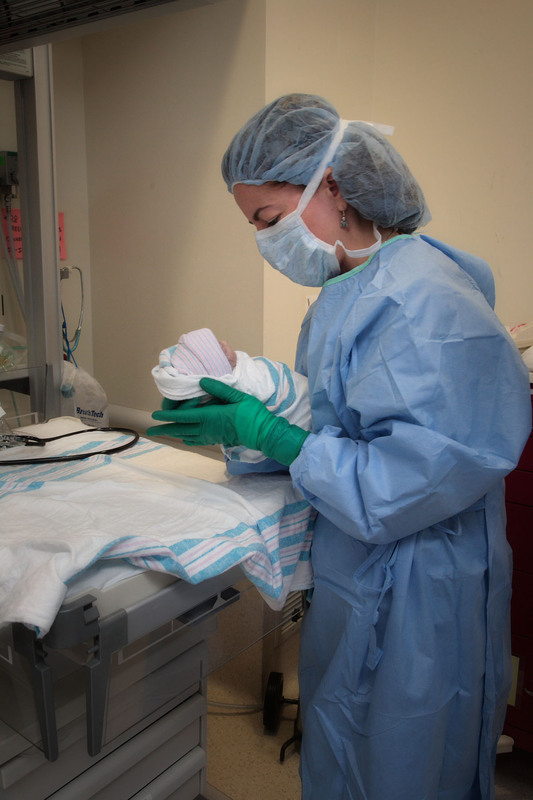 What if you offered a “Predelivery Conference” for women / families with complex delivery needs? Perhaps your leadership could be enticed to make the needed resources necessary if they thought higher satisfaction scores might come from complex cases. Maybe the Maternal Medicine MD would clue you into cases where parents were dealing with palliative care situations. You could discuss their hopes and fears as well as what your unit could provide and what you could not. (I have been able to really help a few families by discussing the smallest things like having a camera available or reserving a private space for their family to wait). You could confirm plans already discussed with Peds/ NICU staff or learn who needs a NICU consult (Learning of a disconnect in the expectations/plans of different departments ahead of time can avert disaster in the moment). You could host/teach/advocate/refer a private birth class where thee palliative care situation was respected and not have them in groups where they have to suffer with whiney folks who aren’t in their situation). Just offering a private tour of L&D / NICU / Mother Baby with the focus on their palliative care situation could be a huge help. Have a discussion of getting a “Now I Lay Me Down to Sleep” vs family friend photog vs staff taking photos (Encourage family to have a video camera with sound ready – I’ve see babes who were expected to die quickly make beautiful sounds that resulted in me running down the hall to get a video camera with the intensity of a crazy person). Discuss the inclusion (or not) of siblings in the brief life of the baby. Within the limitations of patient confidentiality, share stories of other families and how including siblings was a benefit/challenge. The moments in the delivery room may be their only chance to all be together and get a photo together. I recently had a palliative care baby born to a lady who I was only able to have a single phone call with prior to the birth and that one call made all the difference in the world. Maybe in time the comfort you / your unit / your managers find with pre-delivery meetings, you will fell ready and comfortable branching out a little more and developing a comprehensive program that you would feel comfortable calling a “Perinatal Hospice” but why not start small?